This week we are traveling to Greece, France, Spain, Italy .. and everywhere in between! As we host a special sale for our loyal fans, we are also highlighting and paying homage to our passion for Global Inspiration! 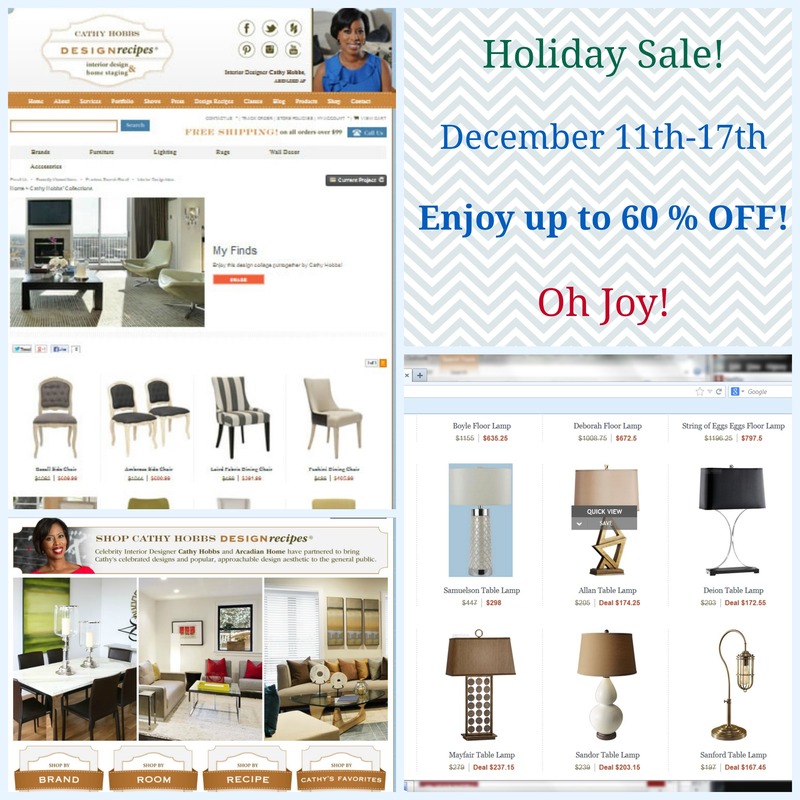 Shop..Be Inspired and Enjoy Up To 60-percent off! Find the link below to experience this insider sale! Here is just a sampling of what you can score to decorate your home or give away for gifts! 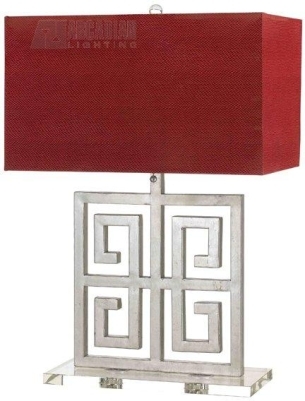 This table lamp is so Greek yet so timeless and universal! 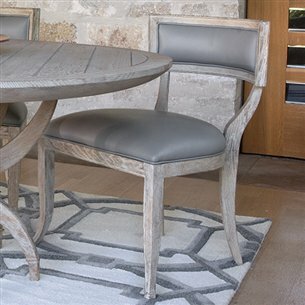 This Greek klismos chair will add luxury to any space! I HOPE YOU GRAB YOUR PASSPORT AND FIND SOMETHING BEAUTIFUL! Area rugs can really serve as an anchor or foundation in any room, and knowing how to use multiple rugs in one room is a wonderful way to add texture, color and softness to a space. 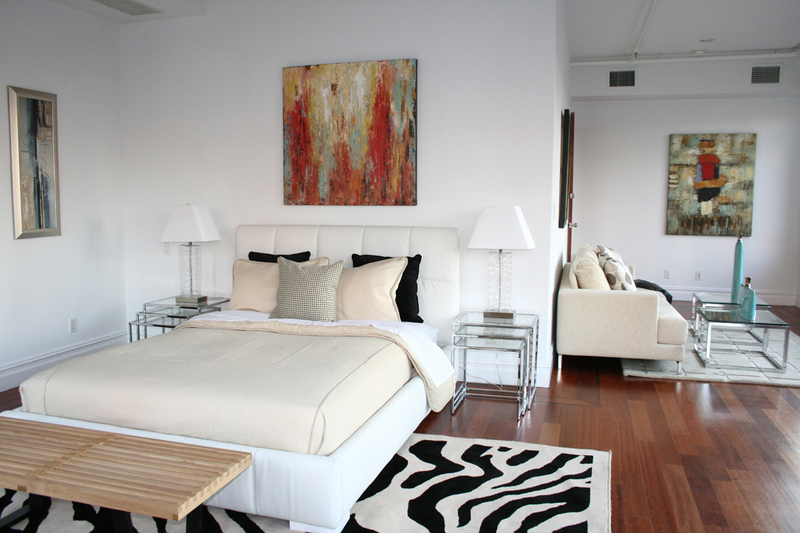 Mix the textures of the area rug, meaning I would not select the same style area rug in the same space. Vary the sizes or shape of the rugs used. Consider mixing area rugs of different colors and materials. 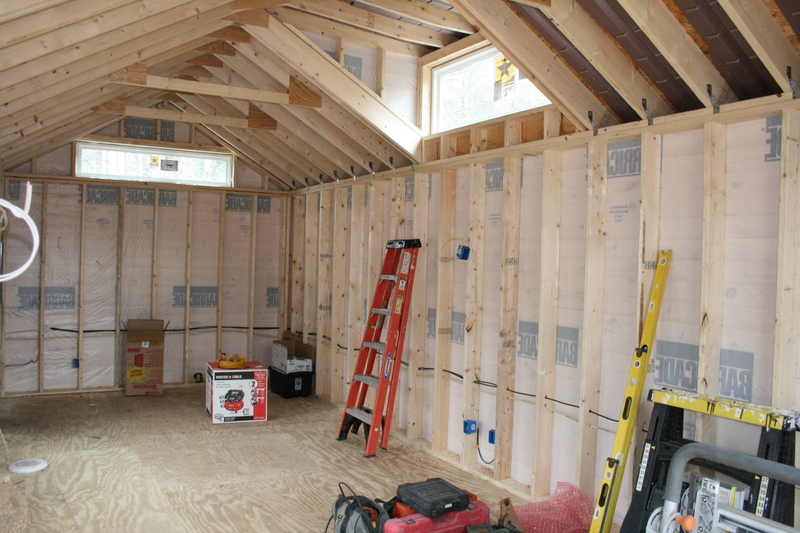 Project of the Week: Creating a Modern Studio from an Amish Shed. UPDATE: IT’S FINISHED!! 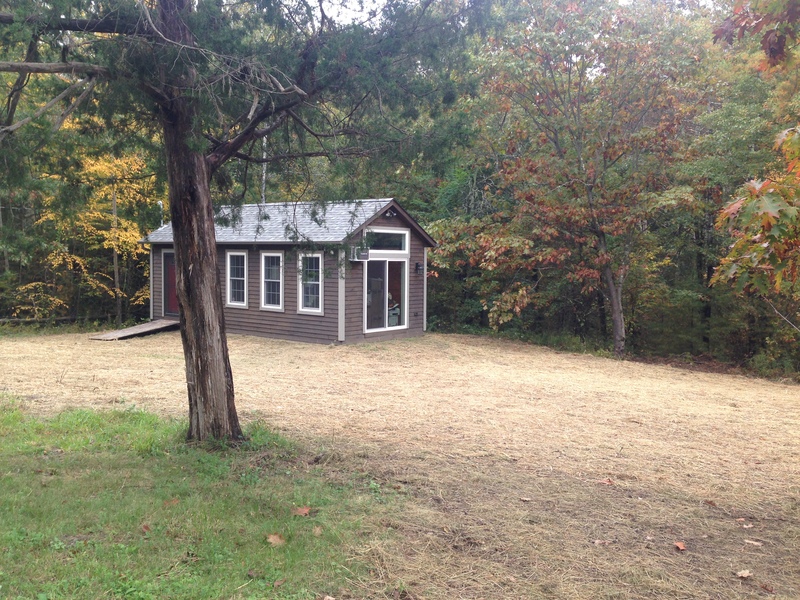 ≈ Comments Off on Project of the Week: Creating a Modern Studio from an Amish Shed. UPDATE: IT’S FINISHED!! It has been several months and NOW the big reveal! 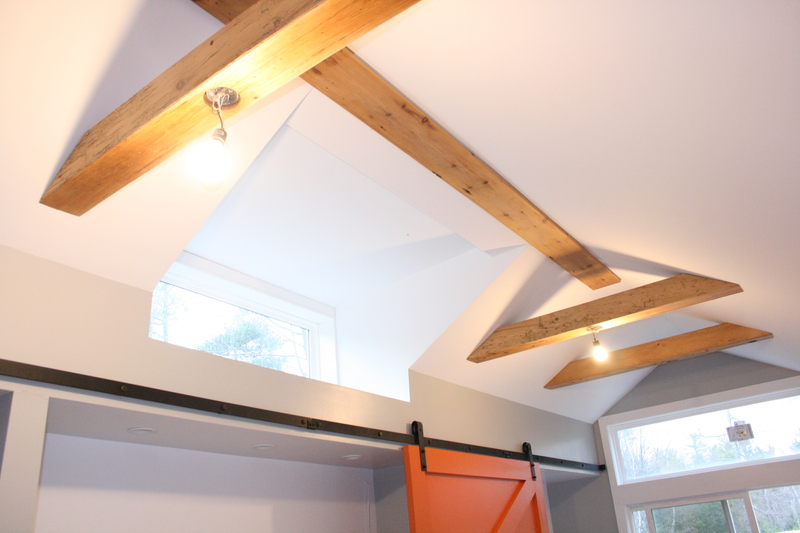 As many of you know, for months every Monday I have been dedicating this blog to one of my favorite, favorite design projects, transforming an Amish shed into a modern studio! 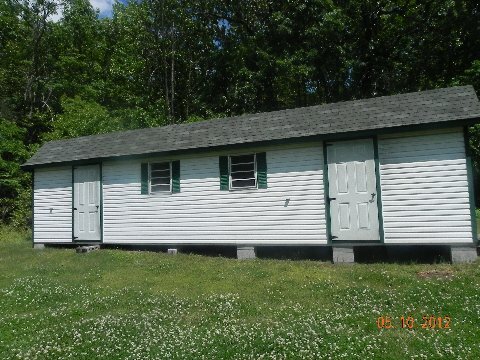 The whole idea to transform an Amish shed was inspired by my late grandmother, who had the Amish build her a 450 square foot shed for lawn equipment. Why she needed something this big I dunno! 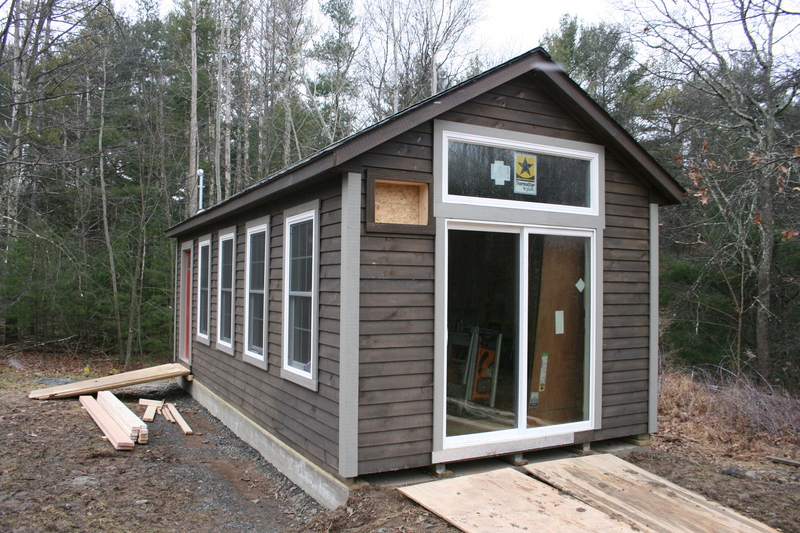 But it certainly got me thinking..what an inexpensive way to create a pre-fab studio/office! 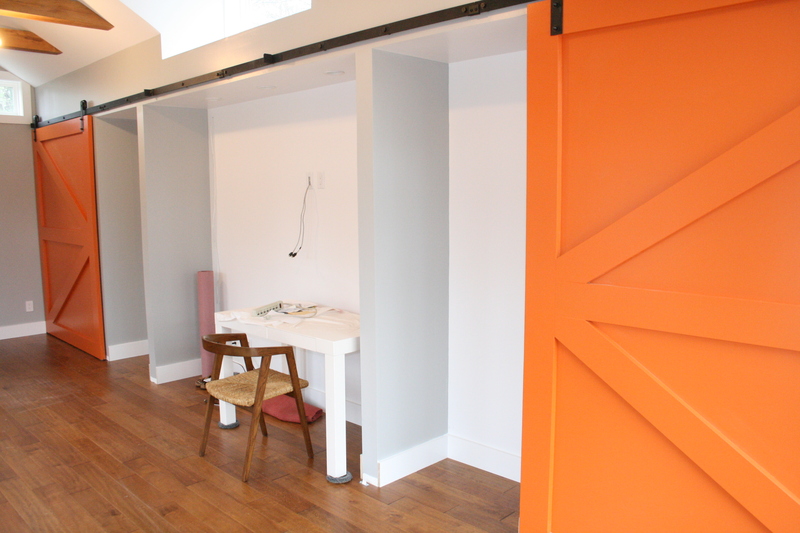 In NYC in fact 500 square foot is the size of a studio apartment, 350 is actually for that matter!! 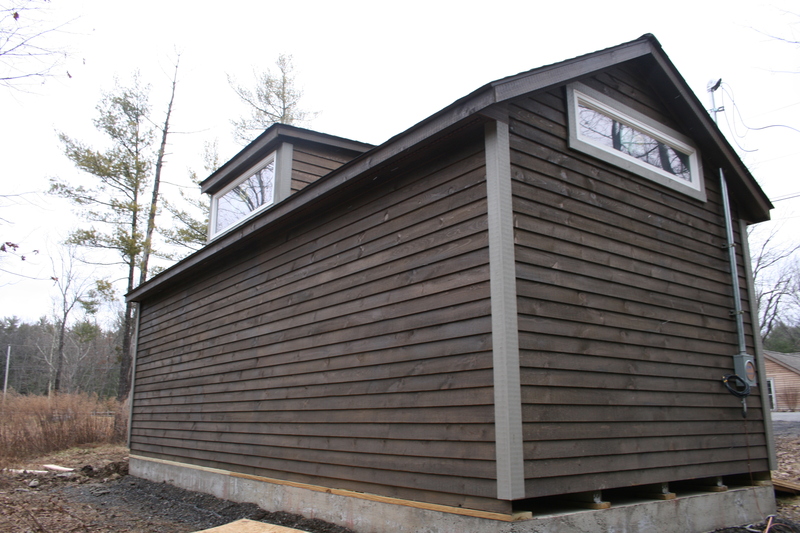 I designed a 12’x24′ (336 square foot) Amish shed from scratch, adding 4 front windows, side transoms, a sliding glass door, and a back dormer. 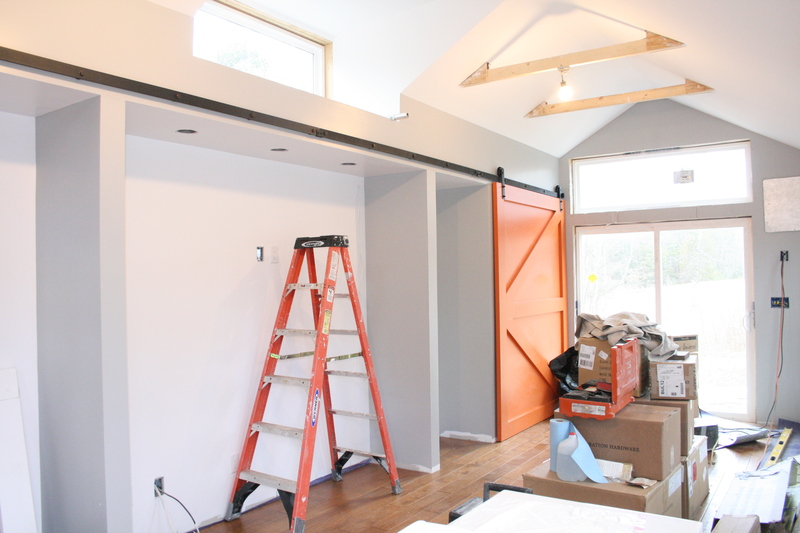 Inside the ceilings are 10′ feet high with custom built/designed barn doors as closet doors and finishes like hand scraped floors and vintage lighting. 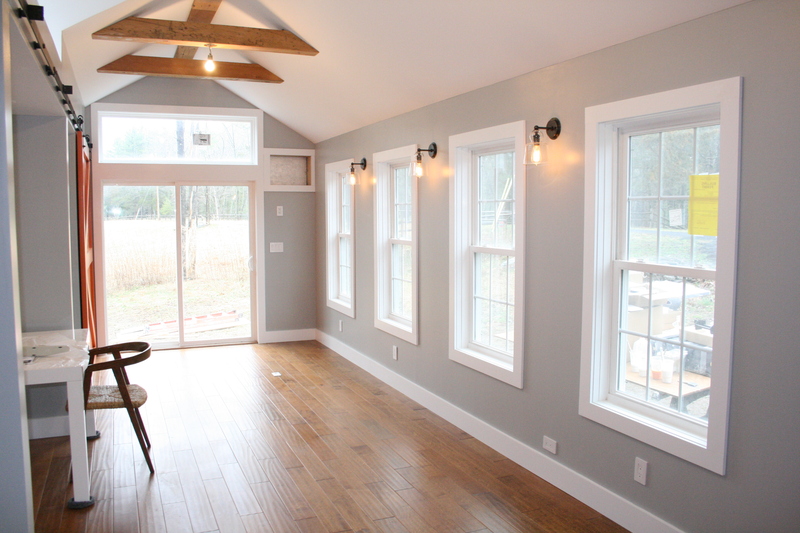 Scott Yoder of Yoder Precision Carpentry in Freehold, NY was hired to execute the build out and he certainly did a fabulous job, take a look at the before and after! My late grandmothers shed, the inspiration for it all! 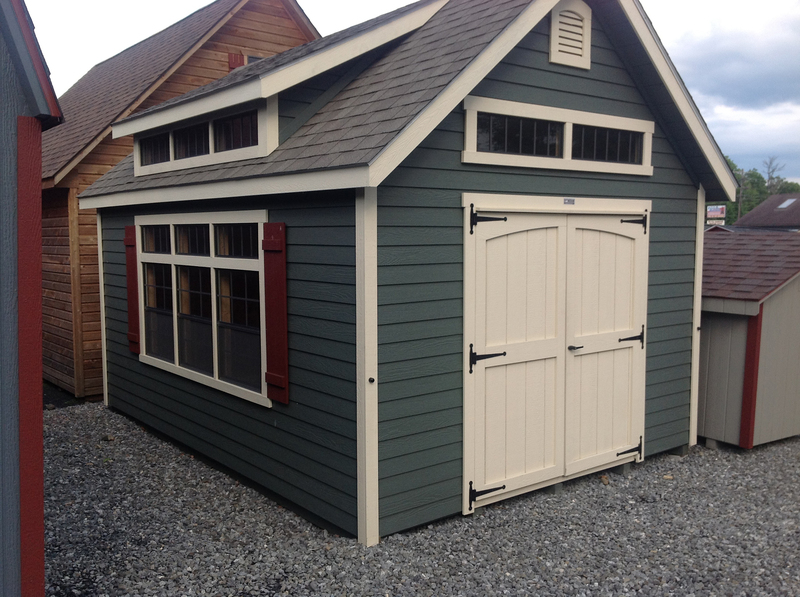 After seeing my grandmothers shed, I went shed shopping and found this one, that helped me hone in on what could be the inspiration for my design. Growing grass!! Next Spring landscaping! Hint! Use a tinted primer as opposed to one that is pure white in order to achieve a deep, rich tone. 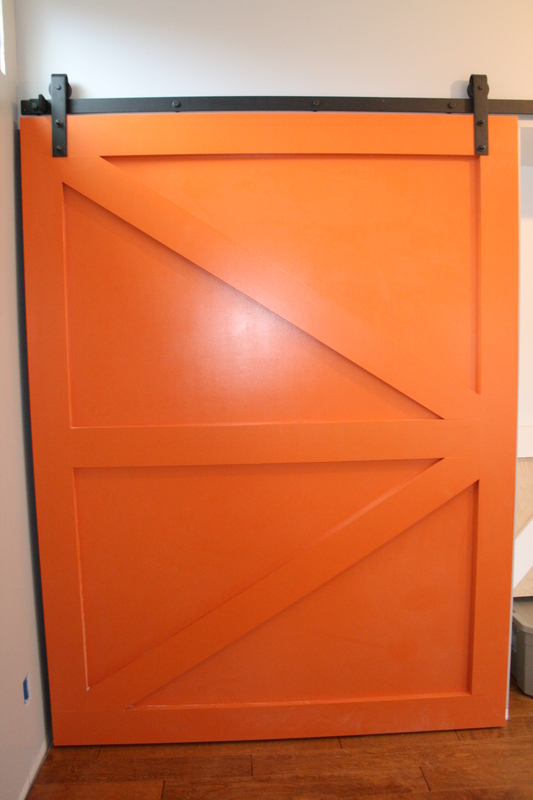 The close ups of my fabulous custom made barn doors, painted in my signature color ORANGE! 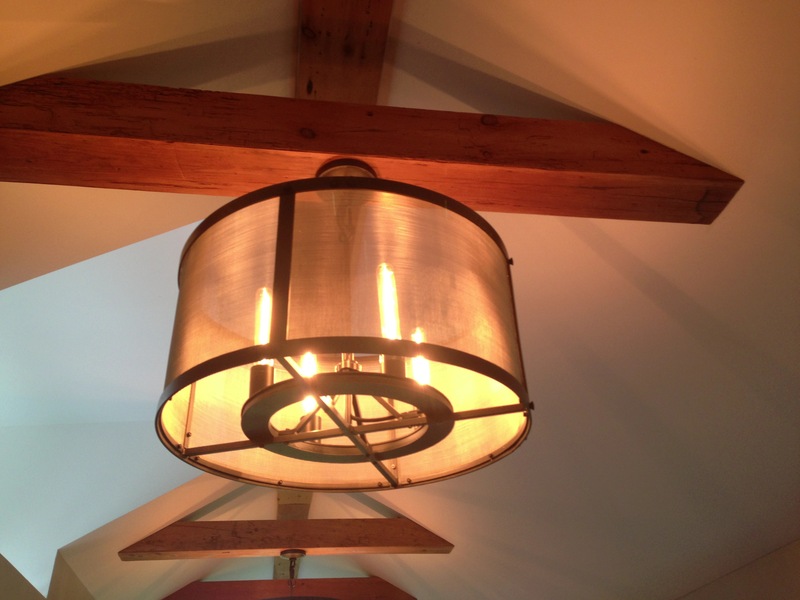 I looovvve these vintage drum pendants I installed! 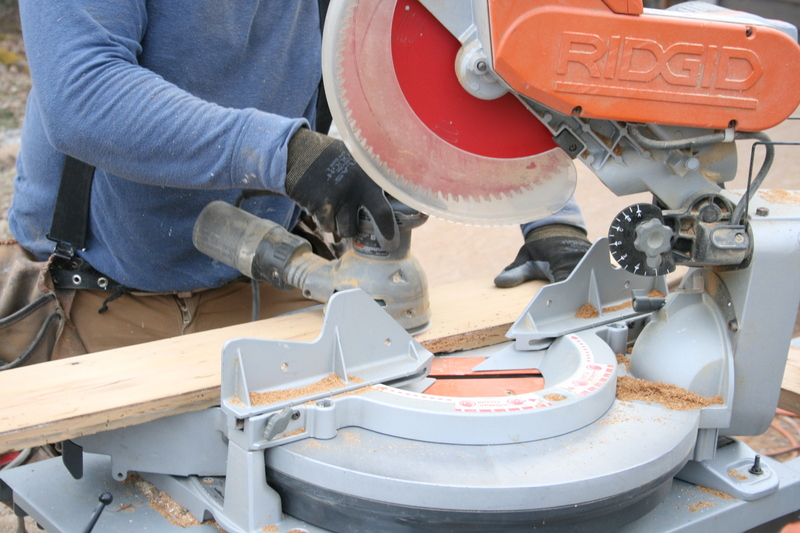 I will be starting a new project soon.. so be sure to stay tuned! In the coming months, when the studio is fully furnished, I will be sure to share! 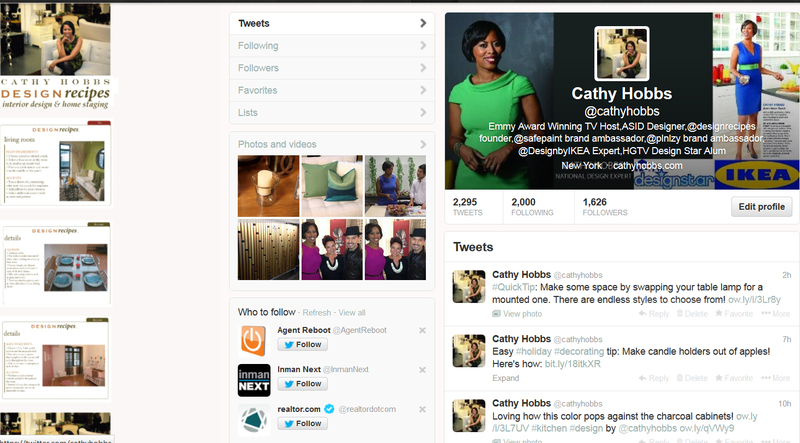 Cathy Hobbs: Interior Design Gone Social! 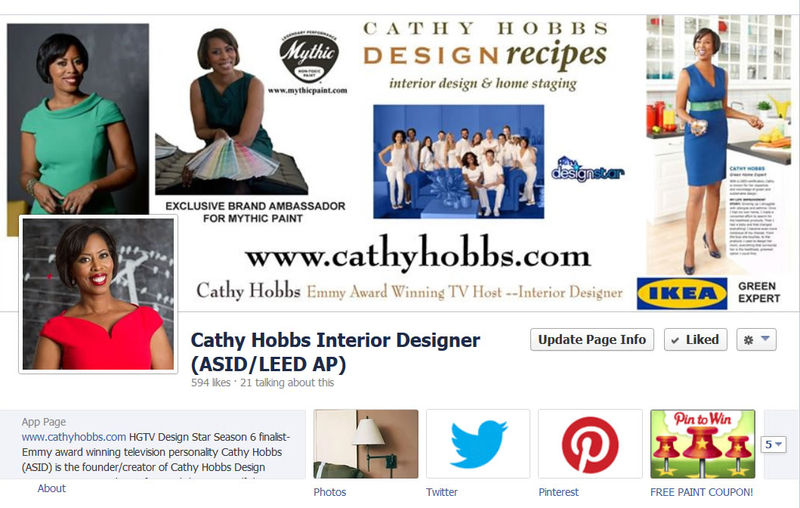 ≈ Comments Off on Cathy Hobbs: Interior Design Gone Social! Hi Everyone! Happy Thursday! As loyal followers of this blog know, every Thursday we typically travel to an exotic location for what I call, Travel to Design! 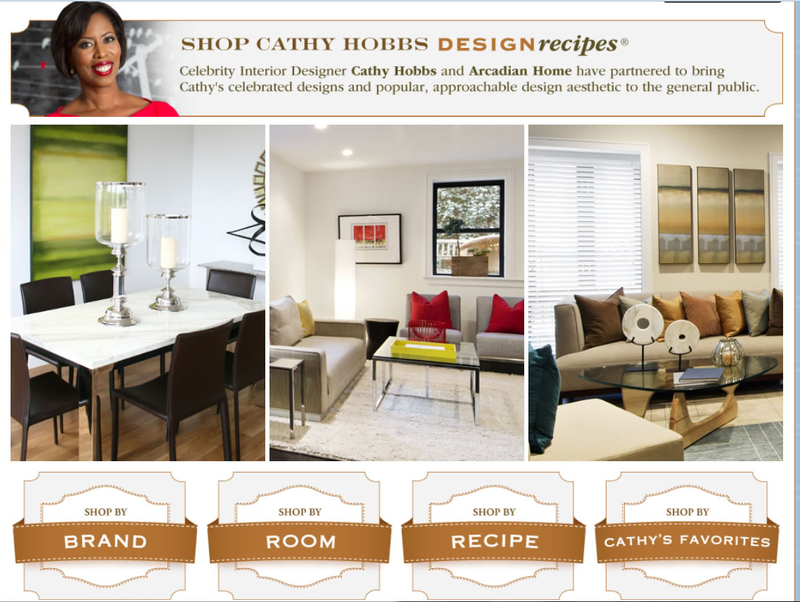 With the upcoming Thanksgiving holiday, I thought I would do a special post this week, focusing on where you can continue to follow our daily design inspirations we share across all of our social media platforms. 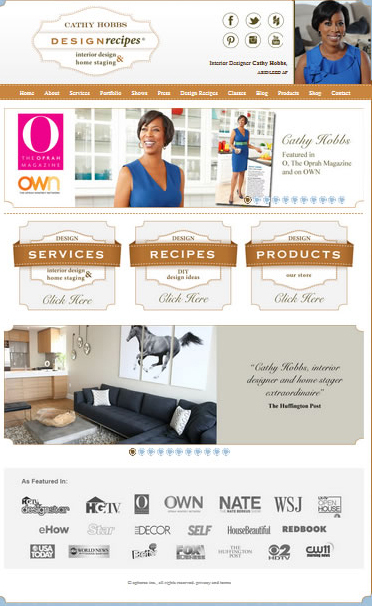 I wanted to take this opportunity to make sure you all know exactly where to find me and my expert interior design and home staging tips online and in the social media world. 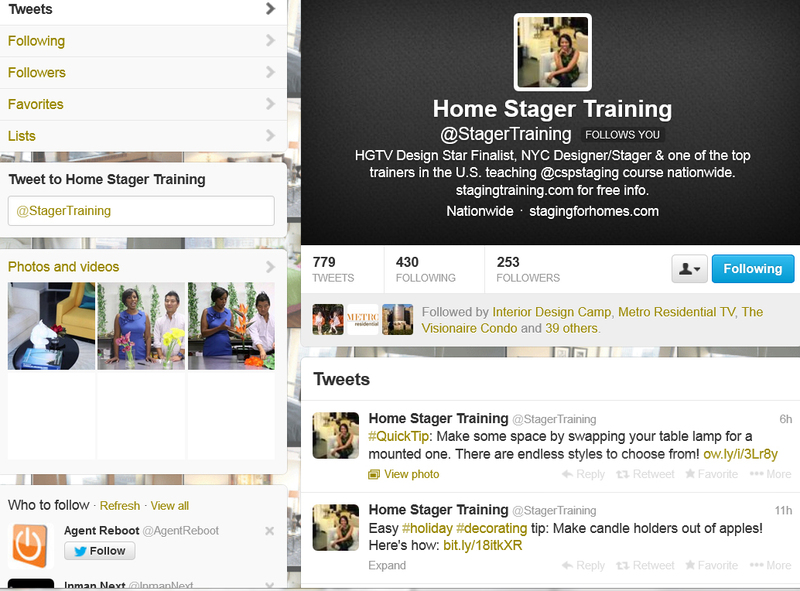 Through my Twitter account I share my interior design and home staging expertise. This is where you will find important, in the moment information on class dates, updates, launches, shoots etc! 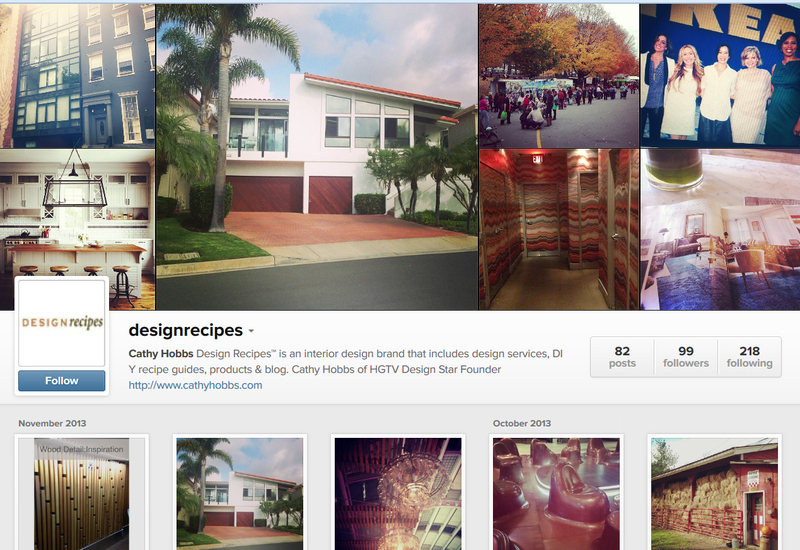 We tweet about design ideas, projects and inspirations, daily! 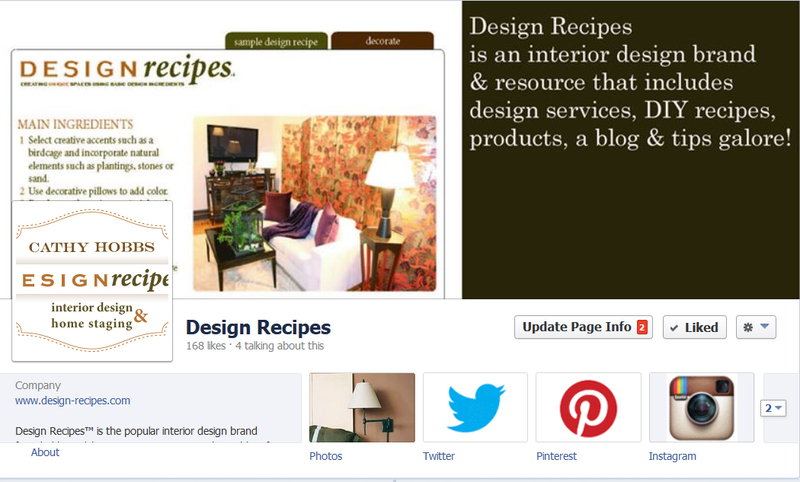 Design Recipes is where I post on-going design ideas, including tips relating to our design recipes! 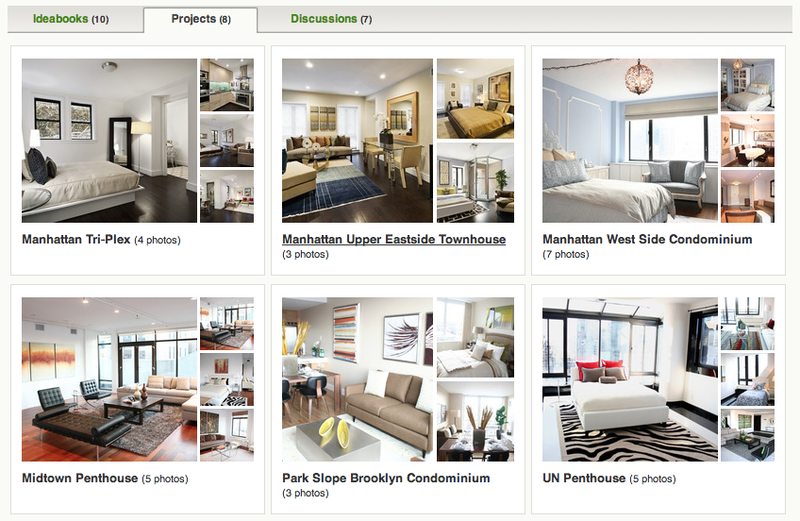 Pinterest is the BEST place for inspiration and it’s fun to keep in contact through this virtual pinboard. 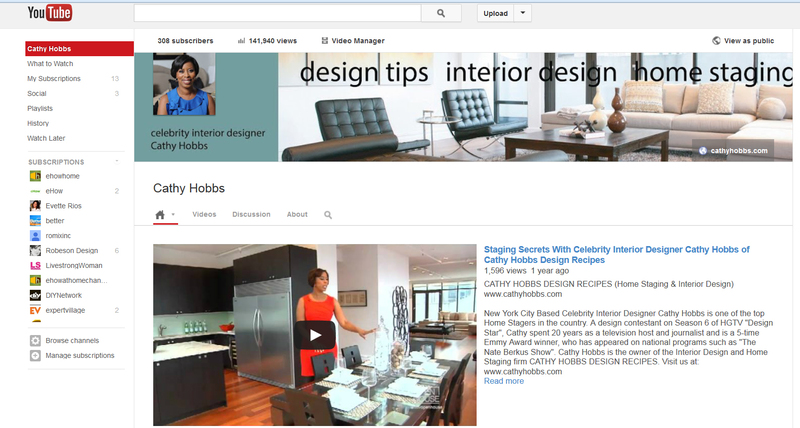 I will also post my recent interior design projects and design inspirations! 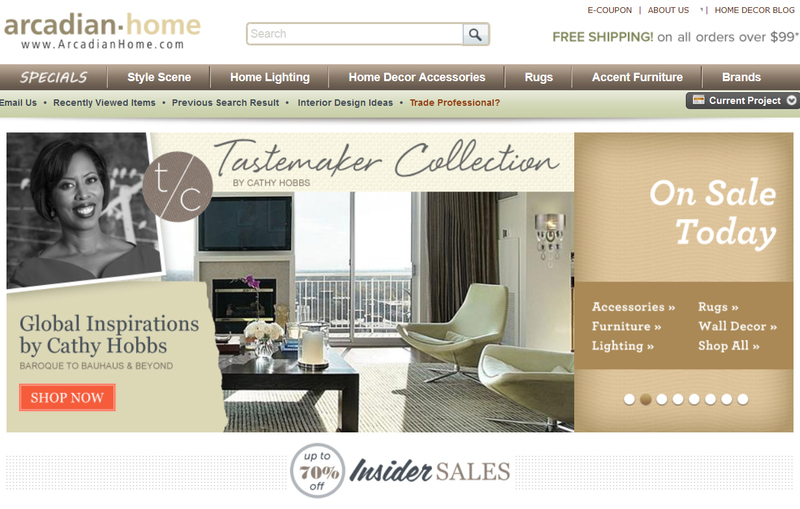 Our recently launched on-line store, features beautiful, furniture and accessories, hand selected by me! 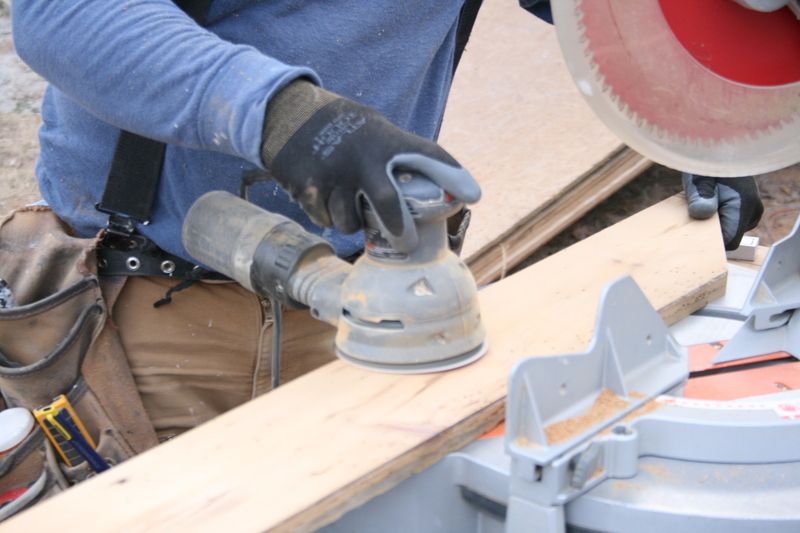 This is where I post LOTS of informative How-to-Videos! I have TRULY saved the best for last. 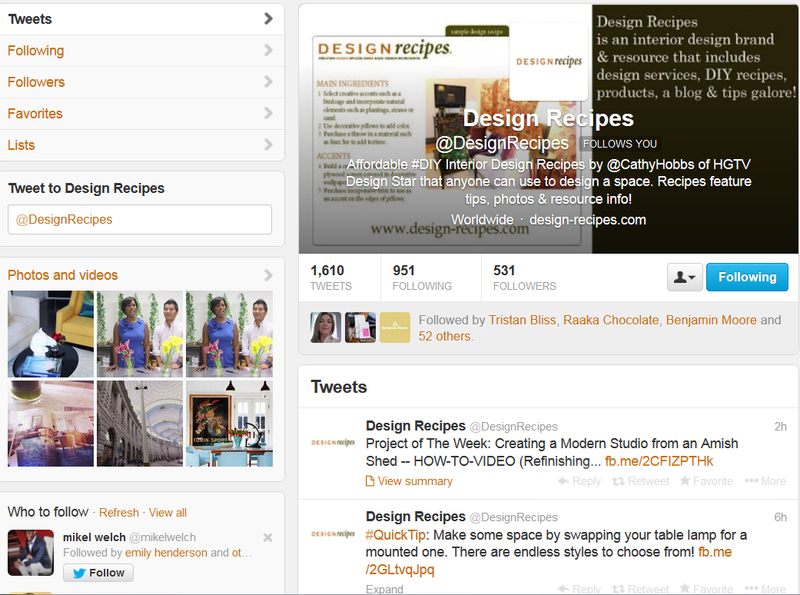 http://www.design-recipes.com is where I have over 500 DIY Design Solutions in the form of easy to follow recipes!! 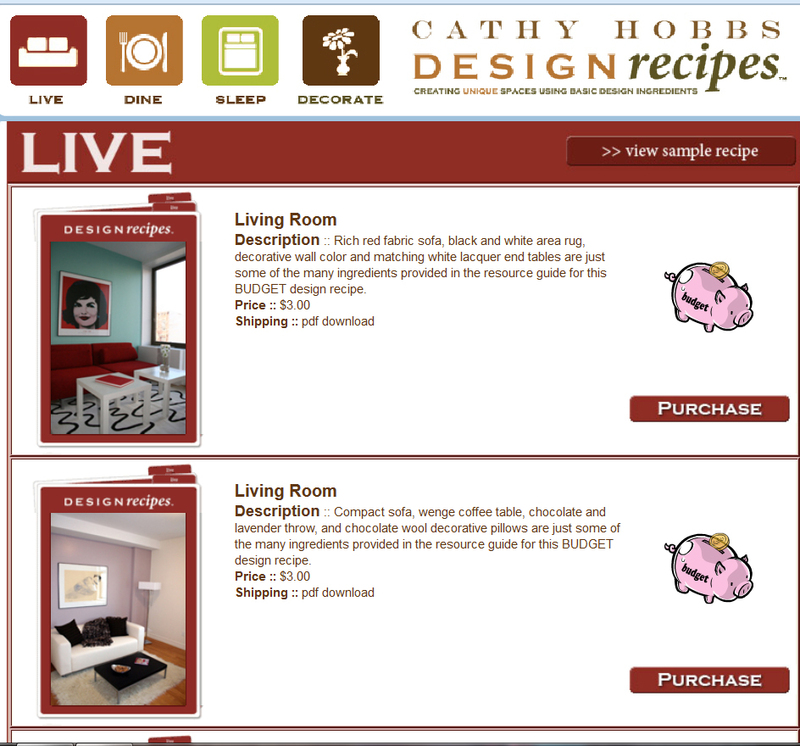 Each recipe has a detailed outline on how the recipe was created on the front and the resource information on the back! 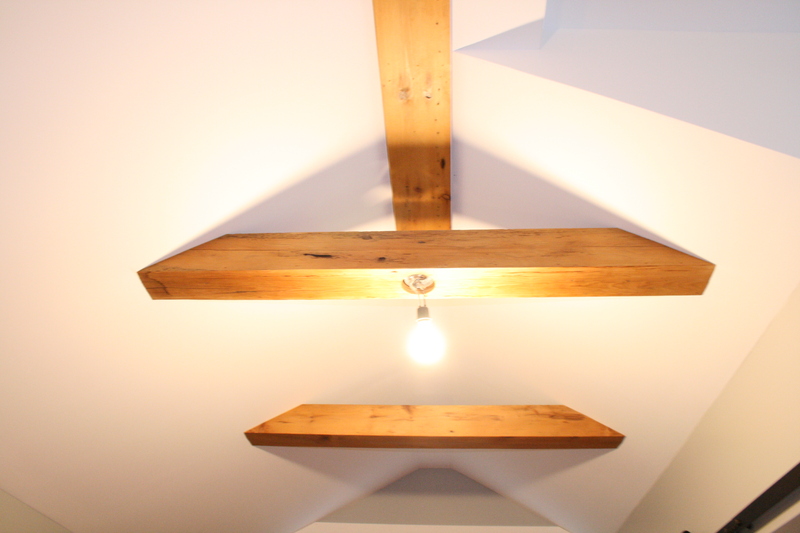 Last Monday, relating to my on-going project of the week, I revealed one of my favorite design success stories, covering structural plywood trusses with reclaimed barn wood in order to make a structure (that is actually an Amish Shed) — look like it was actually made with structural reclaimed wood beams. 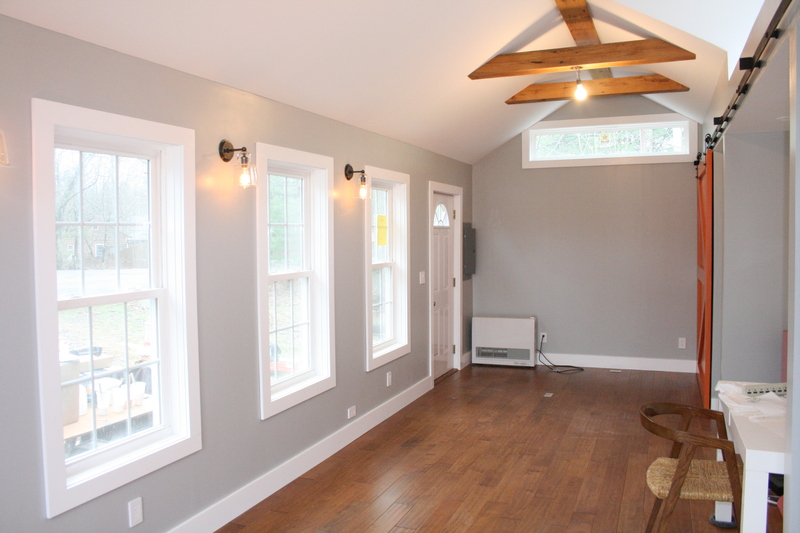 My expert carpenter (aka a true craftsman and artist), Scott Yoder of Yoder Precision Carpentry in Freehold, NY has masterfully executed the build out. Below is a special How-to-video .. on how he did it!! 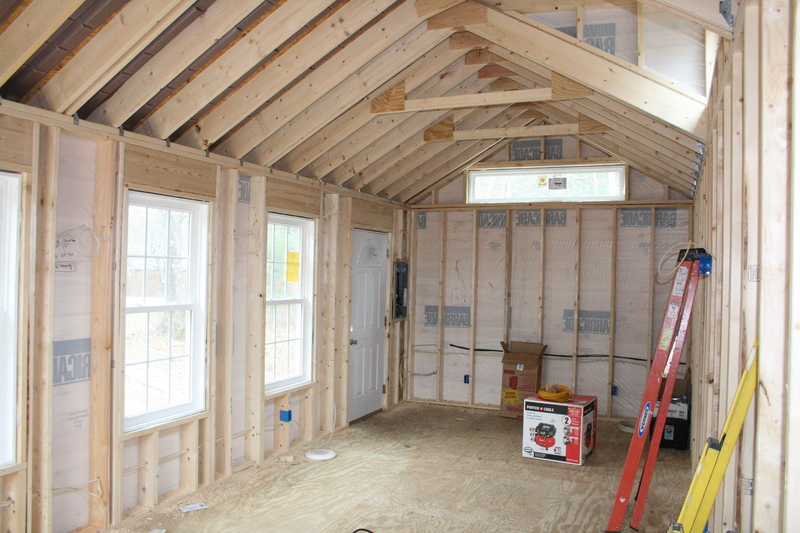 For more inspiration, take a look at the Before and After photos below! 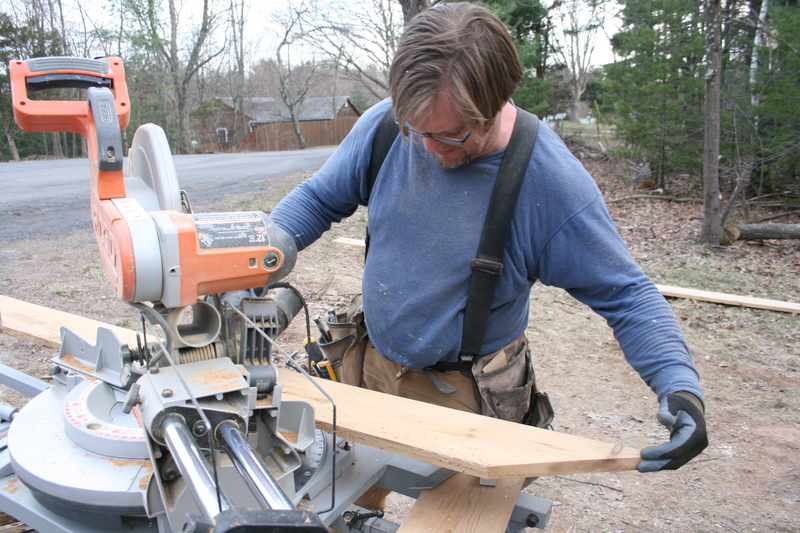 SCOTT YODER OF YODER PRECISION CARPENTRY HARD AT WORK! THIS IS STARTING TO LOOK LIKE SOMETHING! 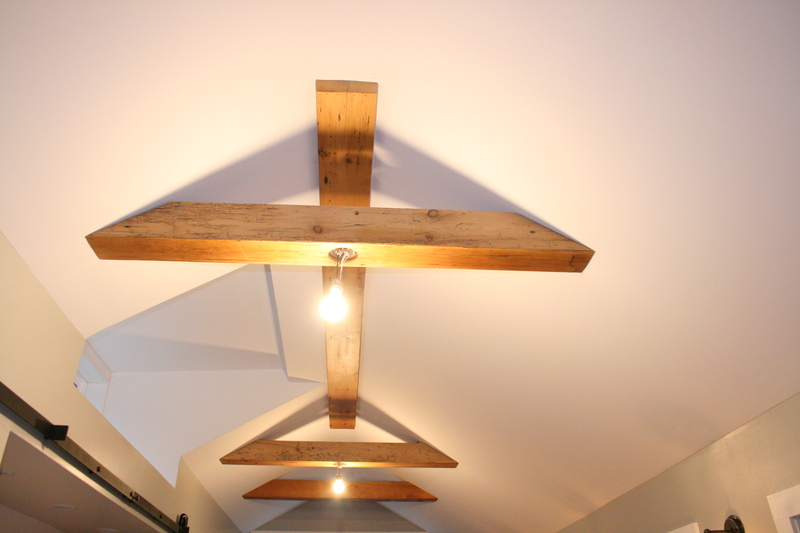 THE BEAMS, SANDED AND GORGEOUS WITH A COAT OF SATIN POLY! 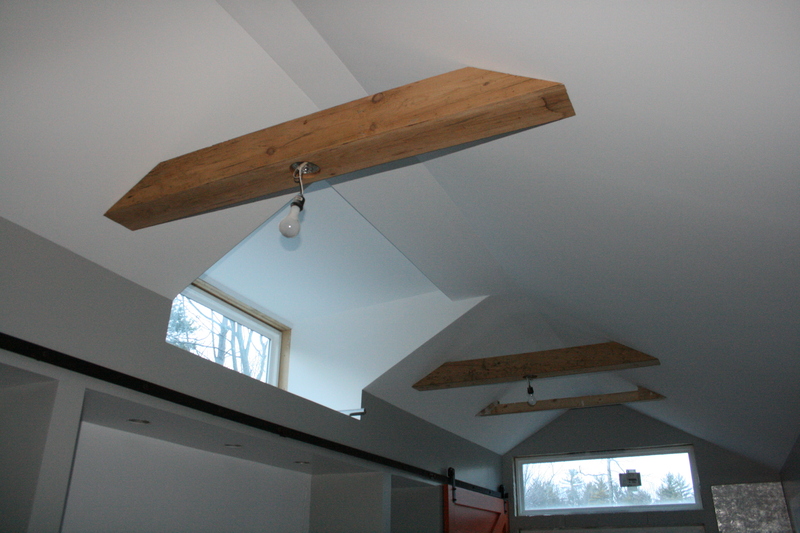 CAN YOU TELL THESE STUDIO WASN’T BUILT WITH THESE WOOD BEAMS? UP CLOSE .. AND FABULOUS! 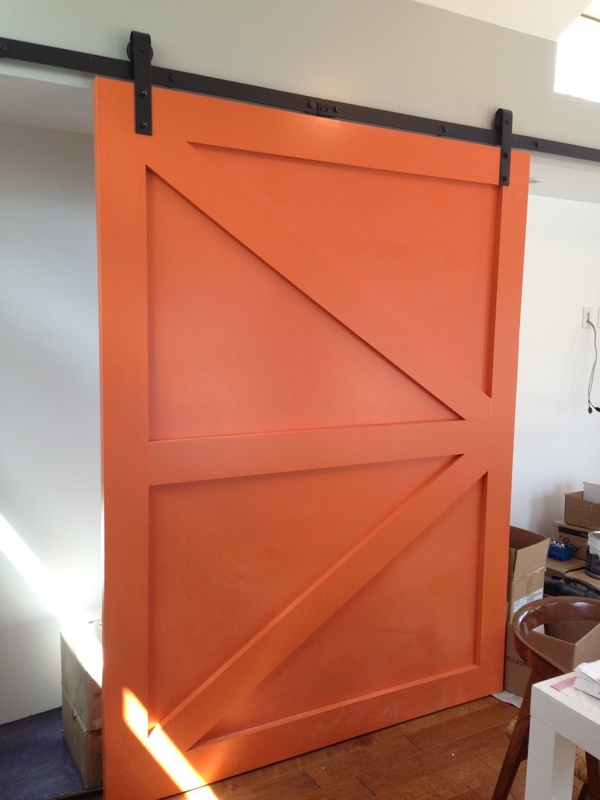 Project of The Week! 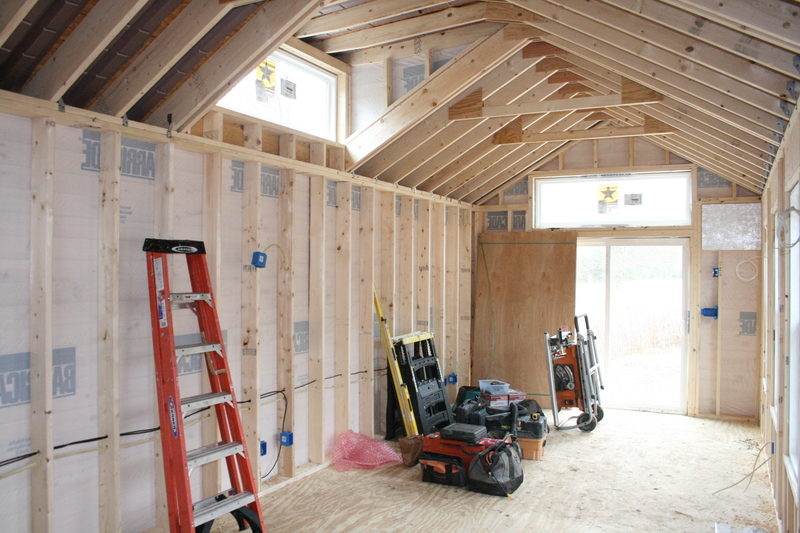 Creating a Modern Studio from an Amish Shed. 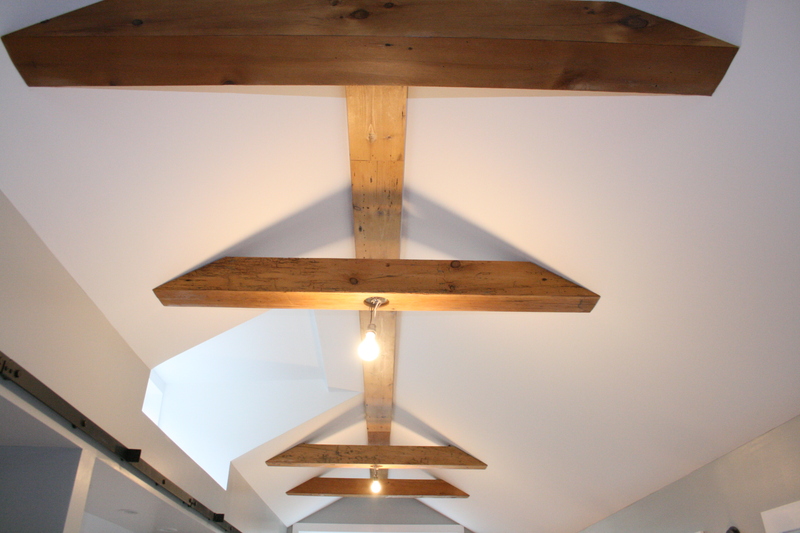 UPDATE: RECLAIMED BEAMS! ≈ Comments Off on Project of The Week! 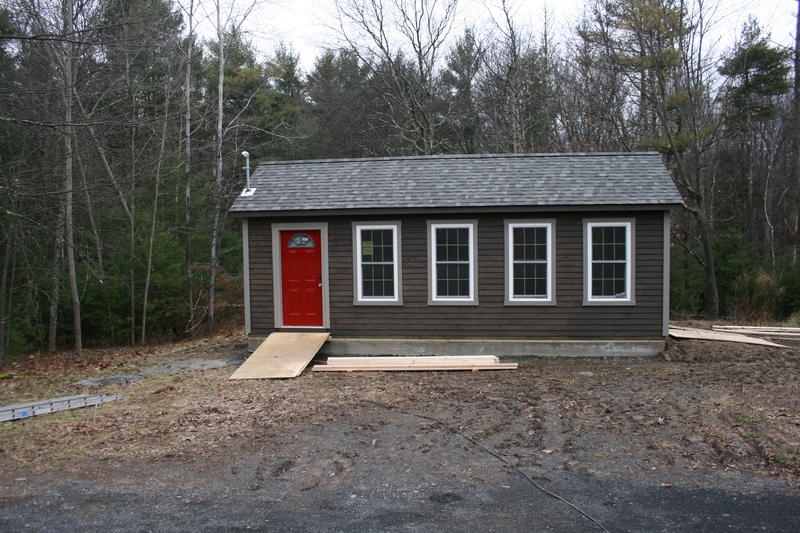 Creating a Modern Studio from an Amish Shed. 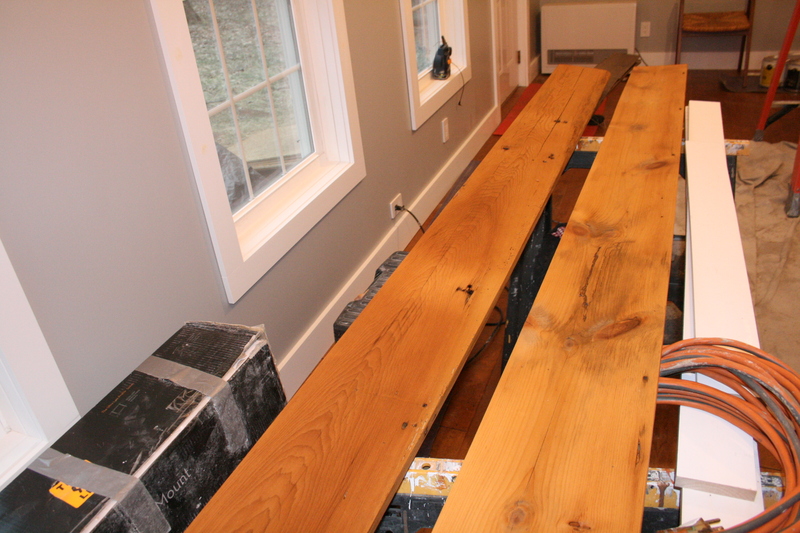 UPDATE: RECLAIMED BEAMS! OK People! 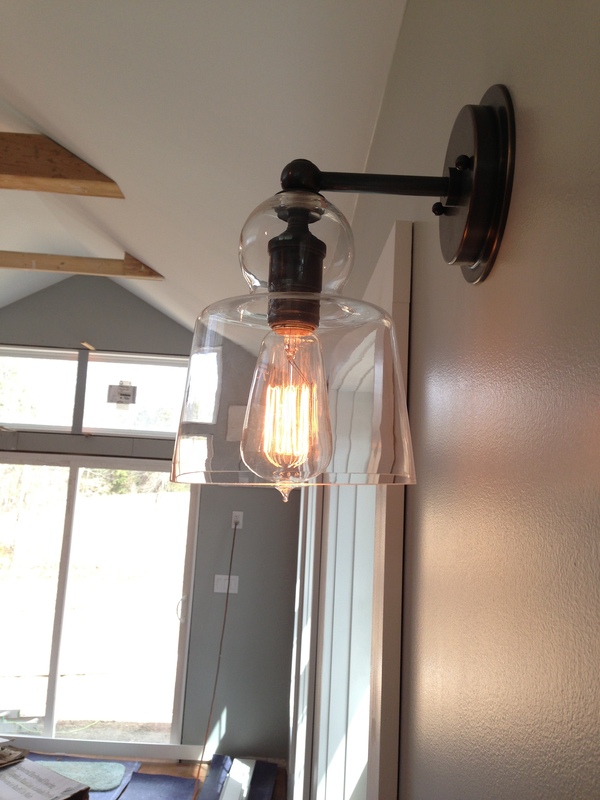 It is is time to get super excited, as my modern studio is almost complete! 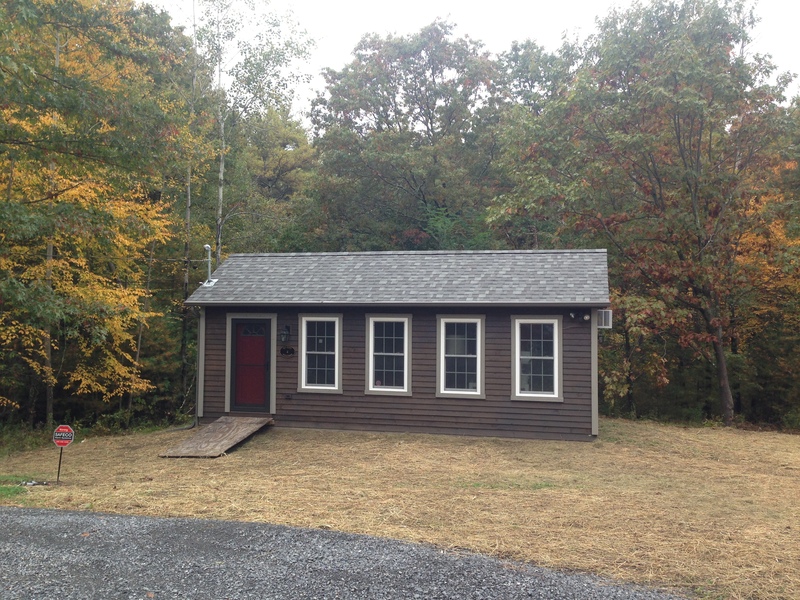 Remember this all started with my concept of creating an affordable, office space from a traditional Amish shed. 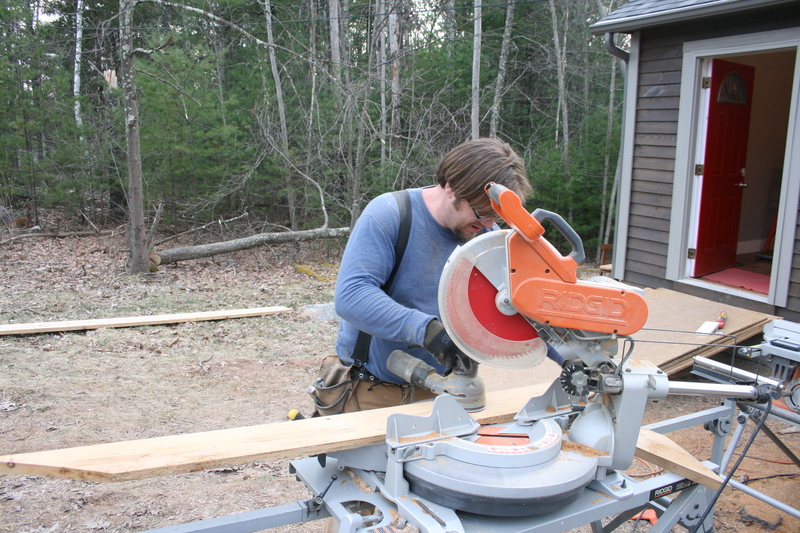 The inspiration came from my late grandmother, who had a 400 square foot shed on her property that she used for lawn equipment and storage. 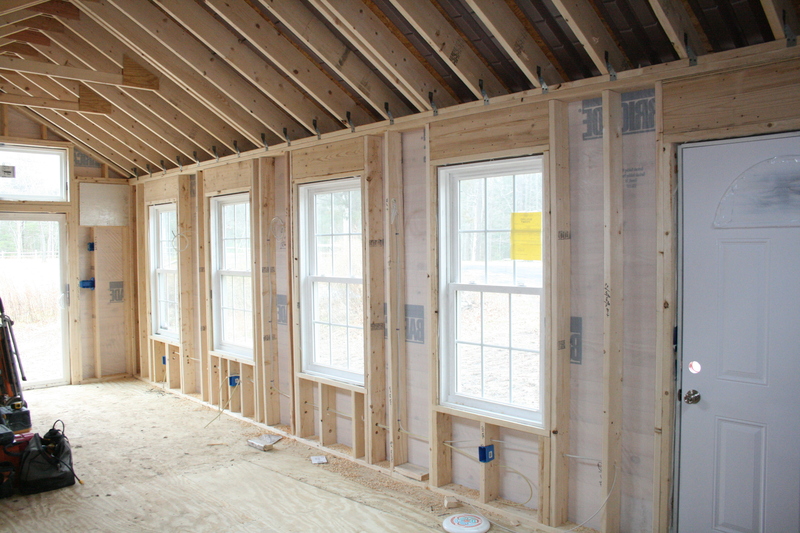 It had windows and doors, and I said to myself, raise the roof, add home like finishes and presto! So far, my theory has worked! 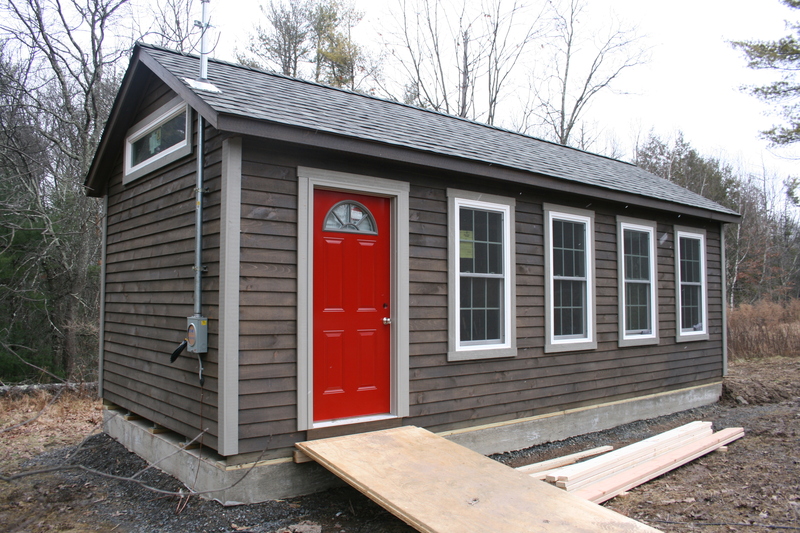 GreenTree, an Amish shed builder in Lancaster, PA builT a custom shed and Scott Yoder of Yoder Precision Carpentry in Freehold, NY has masterfully executed the build out. 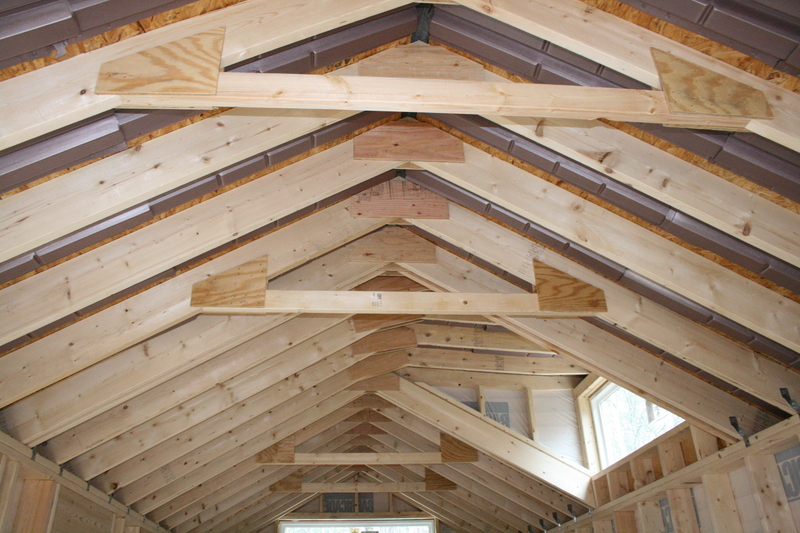 As this IS a shed, the support beams are made of plywood. 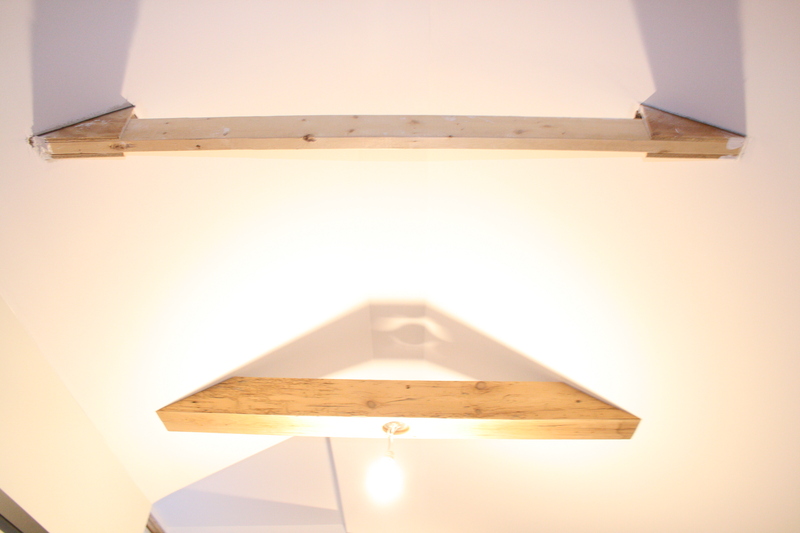 My design concept, cover these plywood beams with reclaimed wood “veneers”. 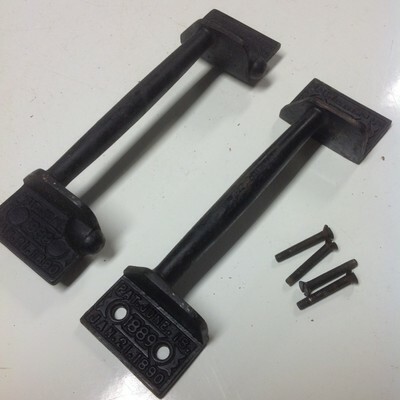 Take a look at the photos below.. FABULOUS! !